Home » Uncategorized » Are you having a WCE Summer? Are you having a WCE Summer? Everyone knows that the summer in the UK is infamous for its unstable and often erratic weather. Here, we don’t have a ‘normal’ summer like everywhere else, where the sun shines and temperatures hit a minimum of 25 degrees Celsius every day. In fact, if such did happen then we would be sure we were having a heatwave. Many you may laugh when you hear the weatherman alert us of an oncoming heatwave because temperatures will reach 25 degrees or at a push, 27or 28 degrees in London. 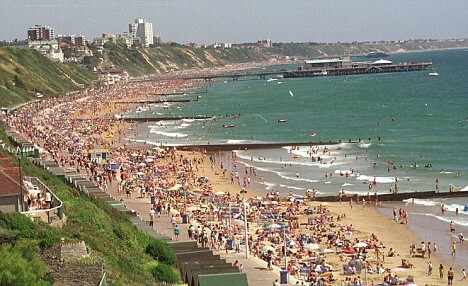 Experiencing temperatures in the mid-20s is very much a heatwave that will see millions flock to the beach to cool down or the parks to have lunch. Other places would like to differ and say that a heatwave to them is when temperatures hit a scorching 35 degrees and above – this would almost be insufferable for the English. Believe it or though, we have had some summers where we’ve experienced more ‘tropical’ temperatures. If you think back to the ‘European Heatwave’ in 2006, temperatures in Britain hovered around 36.5 degrees Celsius, which is almost unimaginable when you’re used to weather that sets us apart from all the other countries’ summers. Still, whilst temperatures were scorching in the UK, temperatures in usually hot countries were even higher, I remember I spent the summer in Portugal that year and temperatures hit 47/48 degrees, causing around 1,259 deaths that summer (the downside to heat). Where summers in other countries are famous for a stable warm/hot climate and clear blue skies, the English Summer is infamous for the constantly overcast skies and frequent downpours. Just a year after suffering the European Heatwave, the UK had the worst floods they had experienced in decades. Instead of being one of the hottest months, June 2007 was one of the wettest months causing much devastation throughout the UK. Things have since settled down a little and thankfully we’ve not experienced both ends of the scale in terms of summe weather, nonetheless, many of you will agree that the weather here is still just as crazy. Last week we saw some brief summer weather and this week storms and torrential rain have been forecasted for Thursday and Friday, with weather returning back to the usual cloudy and occasionally sunny weather next week. This is quite normal here and its unpredictability certainly keeps everything exciting! But as the saying goes, ‘summer is a state of mind’, and this lousy weather shouldn’t stop you from having a good time! Lots of fun thing have been planned in Bournemouth (have a read of our previous blog post by Garazi to find out more) and of course, WCE is here to also make it memorable and join in the fun with you! So you don’t need to worry about the English Summer when you can have a WCE Summer. At WCE we made the most of the last two sunny Fridays! As you may know the Pavillion are offering free dance lessons on the terrace every Friday from 7 – 9PM. Every week there is new style being taught and it’s a fantastic workout both for the body and mind. It’s also a great opportunity to practice your English. On Friday 31st July, our Social Room Team Leader headed down to the Pavilion Terrace along with two of our students to get their groove on for two hours. That week they learnt the traditional dance of Scotland, Ceilidh (pronunciation: [ˈkʲʰeːli]). It was also a very cultural experience, since you got to experience this side of Scottish folklore. In addition it was very fun and social as well as a fantastic laugh – nothing better to get your endorphins moving around your body. Tomorrow they will be doing Bollywood dancing at the Terrace so if you like belly shaking then be sure not to miss out. , the barbecues were alight and the first burgers sizzling and tempting tummies, you all started lining up and the burgers kept coming until past 9pm just in time for the fireworks. By that time the area was filling up with locals but really we already had the best seats and a full tummy. At 10pm the skies were lit up with fireworks, for some of you it was probably the first time you saw this in Bournemouth and hopefully this started your stay in Bournemouth with a bang. We hope everyone went off to enjoy their night and their weekend after the BBQ. We certainly had a laugh! By worldchoiceeducation in Uncategorized on August 14, 2015 .